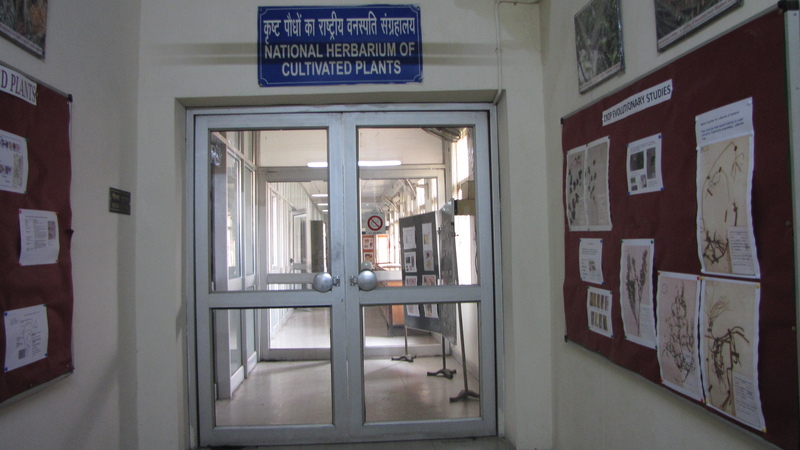 The herbarium of cultivated plants at ICAR-National Bureau of Plant Genetic Resources, New Delhi, also known as National Herbarium of Cultivated Plants (code ‘NHCP’) occupies an important place among 25 major Indian herbaria (Singh, 2010). NHCP is listed in the Index Herbarium which is a global directory of public herbaria in different regions (Holmgren and Holmgren, 1998; http://sciweb.nybg.org/science2/IndexHerbariorum.asp ). It holds significant collection mainly of cultivated taxa and wild relatives of crop plants/ weedy relatives of both native and exotic origin and taxa of potential value in PGR programme. Besides, seed and carpological samples/ economic products of plant genetic resources (PGR) relevance serve as complementary collection. NHCP is intended to serve as a reference collection for identification, taxonomic study and for teaching. It differs in its mandate from the general herbaria across the country in representing wide range of variability in crop plants depicted as cultivars, primitive types/ landraces, wild/semi-domesticated forms and crop wild relatives (CWR)/ weedy types and also the potential species collected from different agro-ecological regions of India under various PGR programs. In addition herbarium specimens of exotic taxa introduced under various research programme, local flora of Delhi, weed flora, voucher species of various research programmes. The gateway into the National Herbarium depicts a map layout of different sections in ICAR-National Bureau of Plant Genetic Resources. The users are desired to contact the In-Charge for entry. 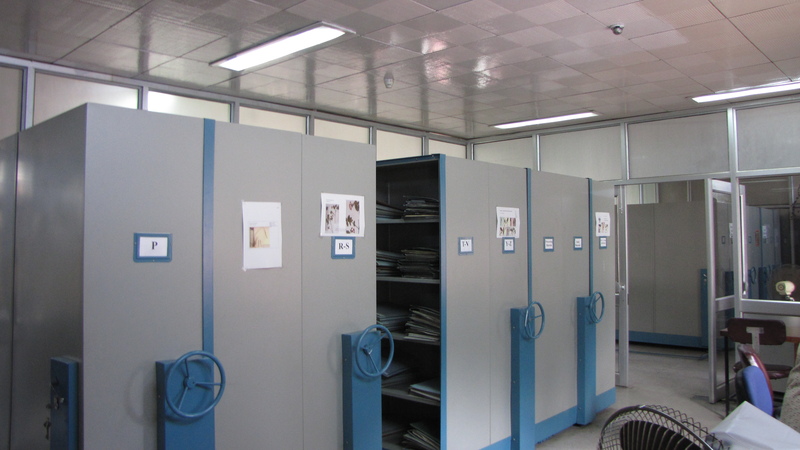 A processing room is used for handling new material intended to the NHCP and for deep freezing (-20 degrees for 72 hours) treatment, routine poisoning, salvaging, and disinfecting the herbarium material. 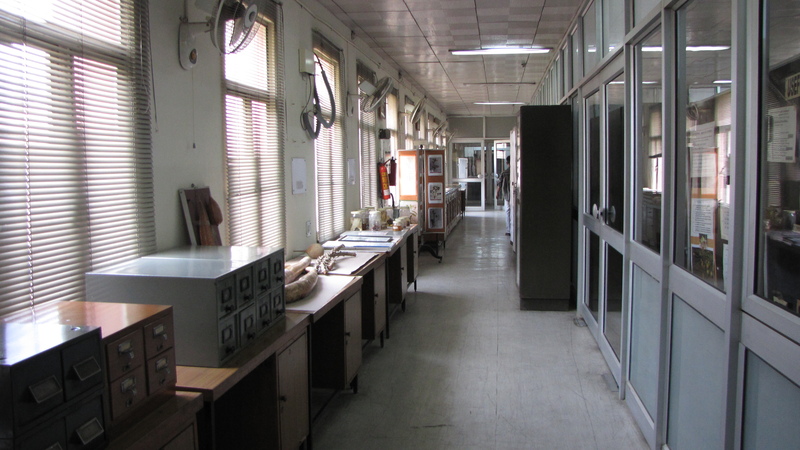 Herbarium gallery provides an overall glance of the material and displayed items in the form of charts, economic products, variability collections, bulky herbarium (wet collections) meant for visitors, teaching programs, etc. NBPGR has a very good collection of literature on taxonomy and systematic studies of Indian taxa. 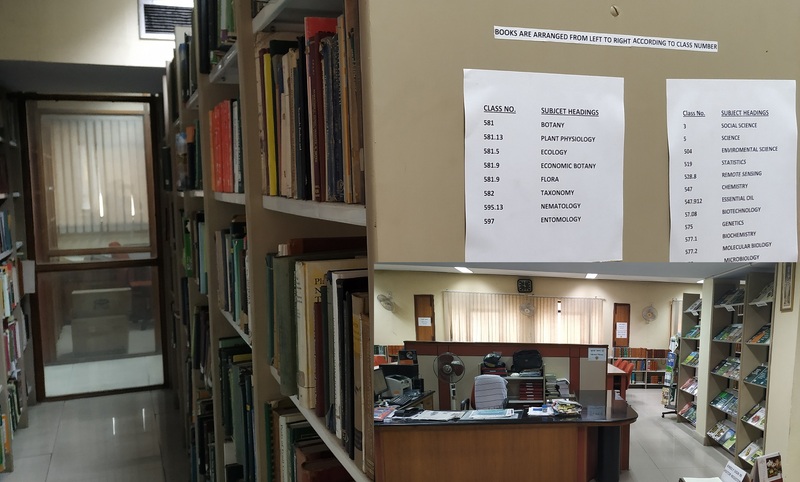 Over 200 books on biosystematics, monographs and country / state floras and literature on taxonomy are housed in the main library and a subset with NHCP. System of arranging herbarium specimens differs from that of the other herbaria; specimens are arranged by families, then by genera and then by species; all in an alphabetical order. 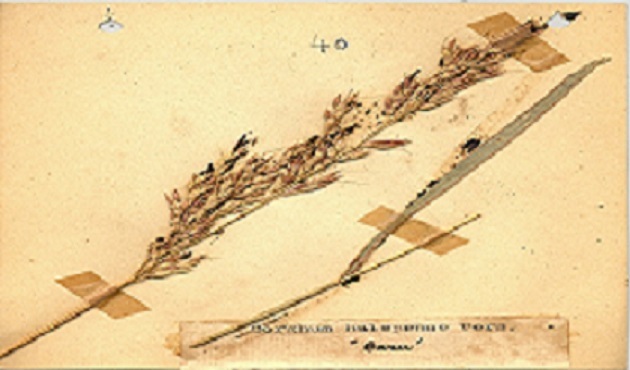 During the earlier history of the herbarium the archival collection available as grasses collected during PL-48, relevant heritage literature published by previous workers is available as digital images, scans, etc.